A stirring autobiographical account of an amazing season by two-time NCAA champion Dale Anderson! The mid-60’s was an ever-so brief era when Michigan State had the best athletic program in the country – national championships in football, wrestling, soccer and hockey as well as numerous individual national champions in track, gymnastics and swimming. 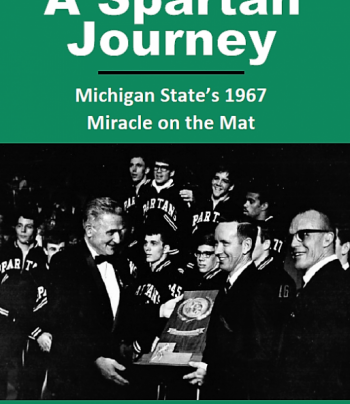 The book, A Spartan Journey, while describing this athletic era, focuses on the Michigan State wrestling team. Told autobiographically, Dale Anderson, a 1967 NCAA champion, reflects on the times and describes what can only be explained as a miracle. The wrestling program, which finished last in the Big Ten in 1964, finished first in 1967 with a team, the majority of whom were walk-ons.